Famous Names was co-founded by Jim and Linda Nordstrom. Linda has been in the professional nail and beauty industry for over 30 years and is an accomplished nail tech, educator, salon owner and now CEO of Famous Names. Jim has also been in the professional nail and beauty industry for over 30 years, he is one of the co-founders of CND, he is also the COO and a partner of UK based distributor, Sweet Squared along with being a co-founder of Famous Names. 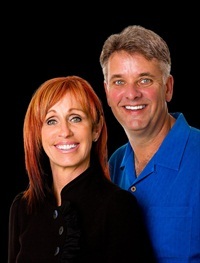 Together Jim and Linda run Famous Names, doing everything from taking orders to formulating new products!! !